Since 1986, Catholic Education WA has been driving the strategic direction and mission of all our Catholic schools, serving almost one in five school-aged children in WA with a distinct educational framework that motivates students and staff to achieve their full potential. 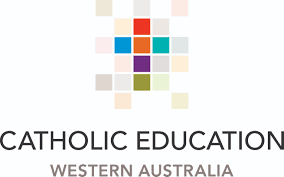 Catholic Education WA is central to the delivery of Catholic education across the state’s four Catholic dioceses ­– Broome, Bunbury, Geraldton and Perth – educating 76,000 young people in 162 schools and colleges across WA. SDERA helps children and young people make smarter choices by providing a resilience approach to road safety and alcohol and other drugs education. We support school staff, early childhood educators and community agencies with professional learning, resources and state-wide consultancy. The School Curriculum and Standards Authority is responsible for Kindergarten to Year 12 curriculum assessment standards and reporting for all Western Australian Schools.